I went to the Martin Luther King scholarship breakfast this morning. This community event has happened annually for 24 years, and it is inspiring. 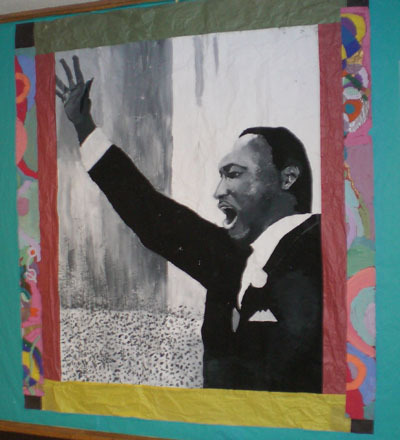 First and foremost, it is a celebration of the life and work of Dr. King, one of the true heroes of American history. The opportunity to gather together with friends and neighbors expressly to reflect on the words and the legacy of this man is a gift. There is so much in daily life that many of us overlook– that we passively appreciate, or take for granted – particularly, no doubt, those of us who have never faced the outrages of discrimination. The reminder to focus, to understand, and to give thanks is both humbling and nourishing. It is also a celebration of the future, with scholarships awarded to students of great promise. I wish I knew the names of those who won, but I wasn’t taking notes during the presentation. Their speeches brimmed with initiative, accomplishment and optimism. The reminder that the young people of today are the leaders of tomorrow – and that as such, we all have so much invested in them – invigorates and gives vital perspective. UMass interim Chancellor Thomas W. Cole Jr., who knows something about both discrimination and the promise of youth, summed it up perfectly in his keynote address when he said that all of us stand on the shoulders of those who came before us. A powerful way to spend a Saturday morning. This mural is in the entry of the Middle School. I couldn’t find attribution of who created it, but it is lovely. Dr. King was also an alum of Boston University, and on campus there is a sculpture in his honor that always delighted and inspired me. I’m having trouble finding a good picture of it, but if I do, I’ll add it, or add a link to it. 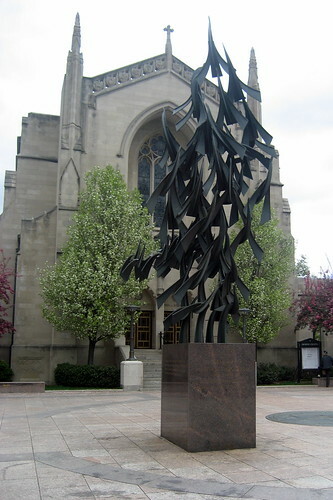 This is the "Free at Last" sculpture in front of Marsh Chapel on the campus of Boston University. Image © Flickr user wallyg.